Indy Arts Guide offers the largest database of arts organizations in the city, featuring events, festivals, classes, workshops, fundraisers, jobs, auditions, venues, and public art. Updated daily, Indy Arts Guide provides access for both Hoosiers and tourists to find out the latest information on the city’s unique exhibitions, performances, programs, and more. Indy Arts Guide is an initiative of the Arts Council of Indianapolis. 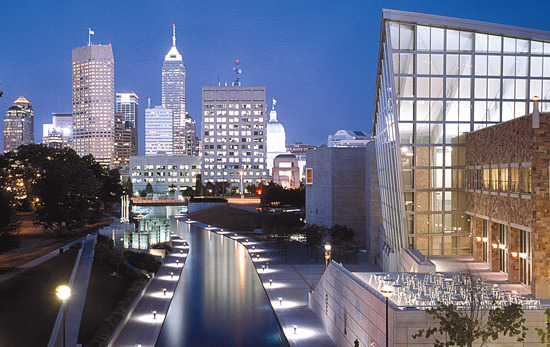 The Arts Council of Indianapolis fosters meaningful engagement in the arts by nurturing a culture where artists and arts organizations thrive. The Arts Council is an organization that advocates for the need and importance of broad community funding and support for a thriving arts scene; innovates by constantly pursuing and promoting innovative ideas and programs that better serve the area, its artists, and arts organizations; and connects artists, audiences, businesses, foundations, and arts and cultural organizations with opportunities to explore and expand central Indiana’s creative vitality. The Arts Council owns and operates two performance and exhibition spaces, the Indianapolis Artsgarden (attached to Circle Centre Mall) and Gallery 924 (at 924 N. Pennsylvania Street). The Arts Council allocates public funding to arts and cultural organizations through a competitive grant program; offers fellowship opportunities including the Creative Renewal Arts Fellowship, the Transformational Impact Fellowship, and the Robert D. Beckmann, Jr. Emerging Artist Fellowship; provides programs, services, and technical assistance for artists and arts organizations; and manages the city’s public art program. For even more information about the Arts Council and our many programs and services, follow us on Facebook.com/indyarts, Twitter @ArtsCouncilIndy, Instagram @ArtsCouncilIndy, and visit us online at indyarts.org.